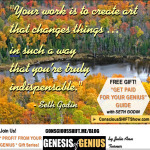 with Seth Godin- your GIFT from me in my last post? 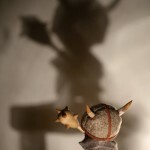 Even a Viking must have a vision (and why you must, too). 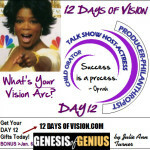 must have a Vision ... 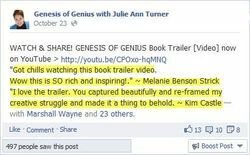 In fact, "a Vision greater than oneself"
(which is why YOU must have one, too). 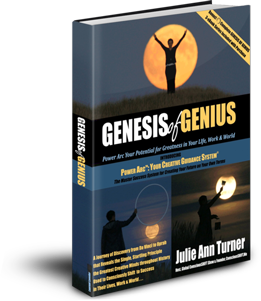 Do YOU have a Vision "greater than yourself"
Ready to get paid for sharing your unique genius? 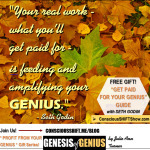 Then, are you ready to "amplify and glorify" your genius? 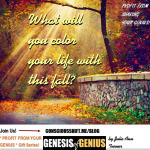 What will you COLOR YOUR LIFE with this fall?